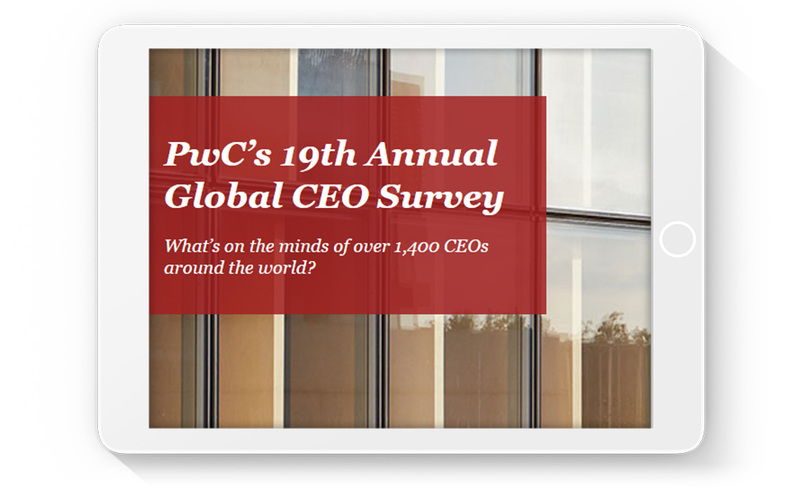 Get insights from PwC’s 19th Annual Global CEO Survey. With concerns over volatility and over-regulation on the rise, running a global business is poised to become even more complex. US CEOs are planning for moderate expansion in a global marketplace that’s upending assumptions about business growth, innovation, and risk. © 2016 PwC. Not for further distribution without the prior written permission of PwC. PwC refers to the US member firm or one of its subsidiaries or affiliates, and may sometimes refer to the PwC network. Each member firm is a separate legal entity. Please see www.pwc.com/structure for further details.